You have had a stressful week balancing your work and personal life and now it's time for a much needed getaway. Book a stay at one of the Braunlage hotels with a Jacuzzi suite and soak away the stresses of real life. With so many things to do and sights to see in Braunlage you will likely be worn out and in need of some papering. Give yourself a nice long rest in the hot tub and feel your muscles be rejuvenated. And since you wouldn’t want to drop your cell phone in the water, leave your phone in your room and really take a moment to fully unplug. You can also make a stop at the on-property or nearby spa for some extra relaxation. 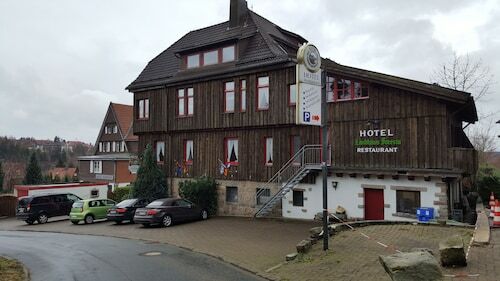 If you're looking for a romantic excursion or just prefer your own space, book a hotel in Braunlage with an in-room Jacuzzi. Browse on Travelocity and the stress of booking a Braunlage Jacuzzi hotel will fade away just like your sore muscles will fade in the hot tub. Indulge in a tip to Braunlage knowing that you will get the best deals available with our Price Guarantee.